We specialise in BMW, Mercedes, MINI & Smart Car but we can and will repair any vehicle. We offer a comprehensive door-to-door service, whether it's a simple service, a full engine rebuild or anything in between. We inspect all vehicles and only replace parts that need replacing. We stock and use genuine parts, and use Castrol Oils & Forte Engine Flush for all our services. Our MOT's are offered at the standard rate and completed by a trusted local associate. Diagnostics are a huge part of our workload and increase year by year. We offer the same dealer level systems without dealer level prices. We pride ourselves on our attention to detail and looking at your vehicle comprehensively, rather than just the problem area. 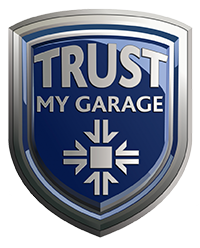 We stand by our work and will always do our best to make sure you leave the garage happy. Please be aware that we do not fit customer supplied parts. Air Conditioning services will remove harmful bacteria from your vehicle, and keep your air ice cold for the summer and heated for the winter. A poorly running air conditioning system can affect fuel econmy and performance, so it is important to have it checked out once in a while. We offer a full body repair service and accident repair/claims from our partner firm. Contact us directly to discuss your specific requirements. We offer a full trade service looking after commercial vehicles and fleets of any size. Contact us now to discuss your requirements. We now also provide Forté's 4-in-1 power cleaning service, which allows direct cleaning to fuel injection systems, diesel turbos, air intakes and diesel particulate filters (DPF). BMERC is an independent garage located in North London that is able to service and repair any vehicle, but is also able to deliver specialist servicing on all models of BMW, Mercedes, MINI and Smart Car. BMERC Garage was started by Ercan in 1989, operating from a one ramp industrial unit in North London. Today it has developed into a seven ramp industrial premises in High Barnet. Having seen how many dealers would overcharge and neglect their customers' needs, Ercan wanted to set up a company that offered honest work at competitive rates. BMERC continues to grow but will always retain the personal touch. Our facilities include seven hydraulic ramps with scissor ramp for heavy duty vehicles, full diagnostic equipment, and all the latest and greatest tools. To be open, honest and to ensure all our customers are happy with our work. To communicate, offer a clean and tidy workshop and facilities, and to be female-friendly. Our aim is to provide you with a personal experience, keeping you informed and aware at every juncture possible. Contact us about the financing options that we can offer for all your servicing and maintenance needs. We can source and purchase used vehicles for our customers – we are not focused on being a car dealership, we simply want to offer our customers access to approved used vehicles serviced and maintained by us. Contact us for more information about how we can help to find the right vehicle for you. If you would like to book a service, get a quotation for your model of vehicle, or ask us a question about any of the services that we can provide, please don't hesitate to contact us.